Nigeria's National Agency for Food and Drugs Administrations and Control (NAFDAC) and Airtel Networks Limited (a telecommunication company in Nigeria) have partnered to provide affordable rates for SMS (mobile text messaging) services in order to facilitate greater adoption of Mobile Authentication Services (MAS). The partnership was cemented by a Memorandum of Understanding (MoU), signed by both parties, to utilize MAS to fight counterfeit products.NAFDAC has been working closely with telecommunication companies to gain support for the MAS solution, and Airtel Networks Limited's willingness to collaborate is a major stepping stone toward alleviating the counterfeit drug problem. An MAS such as Sproxil's MPA solution (TM) leverages lottery-style scratch off labels and mobile phones to provide consumers a way to validate their pharmaceutical products right after purchase. By validating the authenticity of their medicines, consumers are able to safely avoid potentially harmful counterfeits. Important pharmaceutical products like anti-malarials are a favorite for counterfeiters to replicate, which makes the need for verification crucial. Fortunately, this consumer-driven verification solution proved to be so successful in warding consumers away from fakes that NAFDAC Director-General Dr. Paul Orhii launched an initiative to ensure that all anti-malarials are protected with an MAS by January 2012. 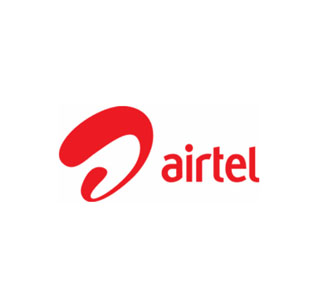 This initiative is now being promoted by Airtel Networks Limited through this new partnership. Sproxil fully supports and applauds both NAFDAC and Airtel's dedication toward the well-being of Nigerians and the pursuit against counterfeiting.